Very caring and polite hostess. Big apartment, clean and with lovely view. 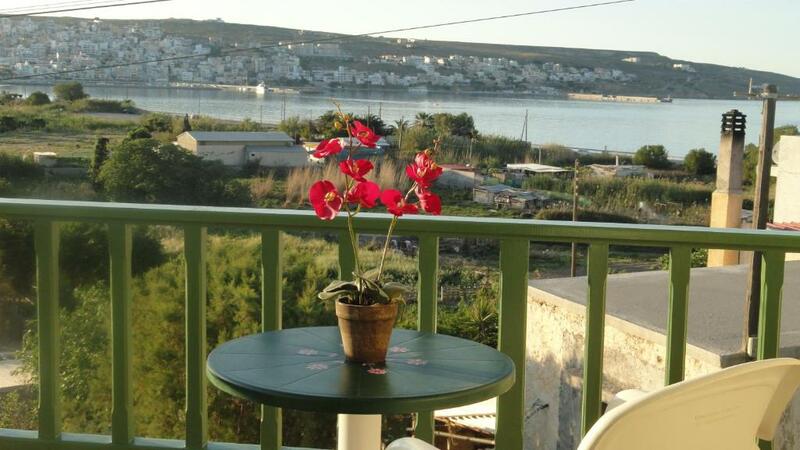 Lovely owners, comfortable ,clean and very spacious , good size balcony with a view . Spacious appartment. Lovely view. Quiet. Perfect for a couple. 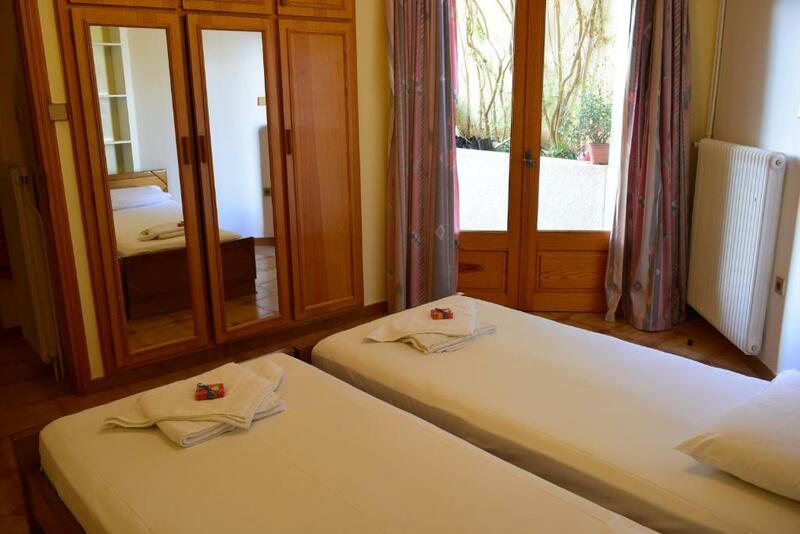 We expected a studio, but it was a flat with a living room, kitchenette and separate bedroom, all neatly decorated. The bedroom opened on a narrow balcony facing a garden wall covered with climbing plants. The French windows had full size wooden shutters. We could sleep with the windows open and the shutters closed. The living room window overlooked a nice garden, with distant views of the bay. The flat was well equipped and Maria was friendly and helpful. Appartement conforme aux photos. Spacieux pour 2 personnes. Très calme . Très belle vue sur la baie de Sitia. Literie confortable. Très propre. A 15mn à pied du centre ville et des supermarchés et de la station de bus. 3 beaux balcons. Accueil sympathique de Maria ( une petite bouteille de raki offerte). Grâce à elle, nous avons pu louer une petite voiture à un prix attractif. Linge de lit et de toilette changés en milieu de séjour (5 nuits). Très bon rapport qualité-prix. calme et tranquillité en cette saison;gentillesse de la propriétaire et bonne situation pour rayonner dans cette région. Der Schlüssel steckte, weil wir erst sehr spät dort waren. Die Lage super ruhig. Sitia ist fußläufig erreichbar. Ein herrlicher Blick über die Bucht aud Sitia und die Berge. 3 Balkone in unserer großzügigen Wohnung, idyllische Kleinbauernathmosphäre gegenüber. Wir haben uns sehr wohl gefühlt. Lock in a great price for Bellevue Apartments – rated 8.8 by recent guests! Just 650 feet from Petras Beach, in the town of Sitia, Bellevue Apartments offers traditional accommodations with kitchen or kitchenette facilities and a furnished balcony overlooking the Cretan Sea. Sitia Port is only 1.2 mi away. Bellevue Apartments are spacious and air conditioned consisting of 1 or 2 separate bedrooms. They also include a living area with TV and a private bathroom with shower or bathtub. Other facilities include a refrigerator and coffee maker. Sitia Airport is 1.9 mi away, while the town’s center is at 0.9 mi featuring taverns, cafes and super markets. Transfers to the port and airport of Sitia can be arranged upon request. Free parking can be found near the premises. When would you like to stay at Bellevue Apartments? 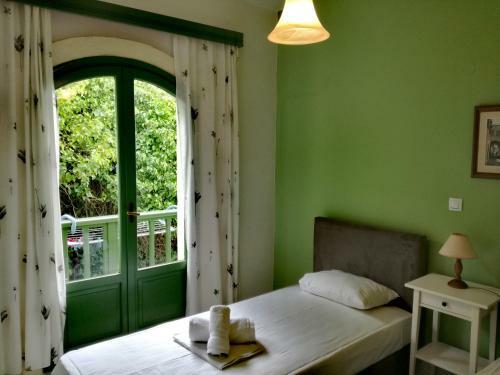 Opening to a furnished balcony with Cretan Sea view, this air-conditioned apartment is spacious and can accommodate up to 8 guests (See Hotel Policies). It consists of a fully equipped kitchen, 3 bedrooms and 2 bathrooms. Central heating is available. Located on the ground floor, this air-conditioned apartment opens to a patio with garden views. 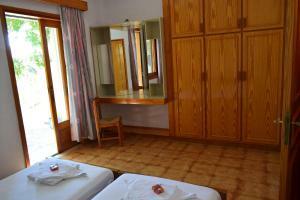 It is fitted with a well-equipped kitchenette. From Bellevue balconies you can see 200 meters away the ruins of Petras Minoan Palace. We like dancing mostly argentinian tango and salsa. House Rules Bellevue Apartments takes special requests – add in the next step! Bellevue Apartments accepts these cards and reserves the right to temporarily hold an amount prior to arrival. spacious, comfy, clean. Helpful landlord. No parking in the property. We had to leave the car on the street (which was fine though). Fairly long walk to the main beach. 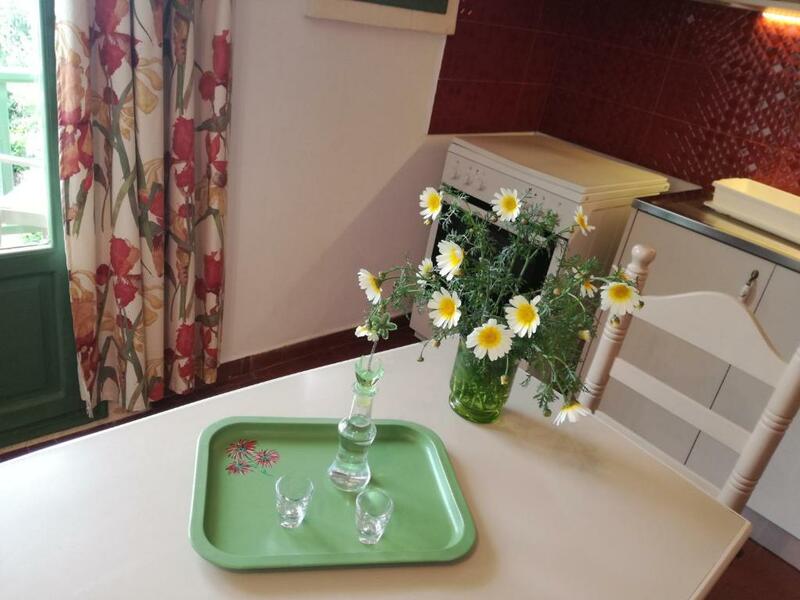 The property is in Petras, not in Sitia itself and, although it was only a 5/10 minute drive to Sitia harbour and town, you had to use the car to do anything. There is no dedicated parking, but Maria, the owner or manager, showed us where to park in the street, near her own flat. We did not have any problems, but wondered what it might be like in high season. My own personal gripe were dogs barking during the night. We don't know whether it is a regular occurrence or just bad luck!